Today, with the advancement in technology, medicine and health, these are curable but still hard to do, since this might require prolonged medication, seeking physician and sometime staying in hospitals. If you are looking for remedies on this, I am looking forward to see you on my newsletter as I'm hoping that you'll understand and learn on how you can stay healthy and avoid the sickness as much as possible. Diabetes mellitus or simply diabetes is a metabolic disease which a person has high blood sugar because the body has no enough insulin or the body cells do not respond well to produce insulin. Common symptons: polyuria (frequent urination) and polyphagia (increased hunger). High blood pressure or hypertension, it is an elevated blood pressure exceeding 140 / 90 mmHg. The chronic hypertension might be silent and can affect the eye capillaries, blood vessel changes, abnormal thickening of the heart muscle, kidney failure, and brain damage. Painful disorder affecting the loco-motor system including joints, muscles and connecting tissue, soft tissues around the joints and bones. This disease might have some other disorders like rheumatic fever affecting heart valves, gout, arthritis, spondylitis and systemic lupus erythematosus. Also known as Podagra (involves big toe). This is a medical condition of recurring attacks of acute inflammatory arthritis, feels like a red, tender, hot, swollen joint. This happens by and caused by elevated levels of uric acid and blood crystalizing in joints, tendons and surrounding tissues. Also known as cardiovascular disease. This means that the heart is not working normally. 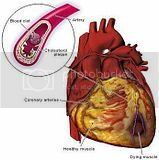 This involves the heart and blood vessels (arteries and veins). Heart disease is one of the most cause of deaths like cancer. Asthma is the common chronic inflammatory disease of the airways. This is also a recurring, reversible airflow obstruction and bronchospasm. Symptoms include wheezing, coughing, chest tightness and shortness of breath. Asthma is characterized too by difficulty in breathing, wheezing, chest tightness, coughing and breathlessness. This is one of the common, lethal and infectious disease caused by strains of mycobacteria usually Mycobacterium tuberculosis. Tuberculosis (TB) attacks lungs but can also affect other parts of the body. TB can spread through air by sneezing, coughing and saliva by air. When this disease is untreated, it kills more than 50% of those infected. Symptons are chronic cough with bloody sputum, fever, night sweats and weight loss. I hope this helps and keep on receiving by getting on our newsletter.